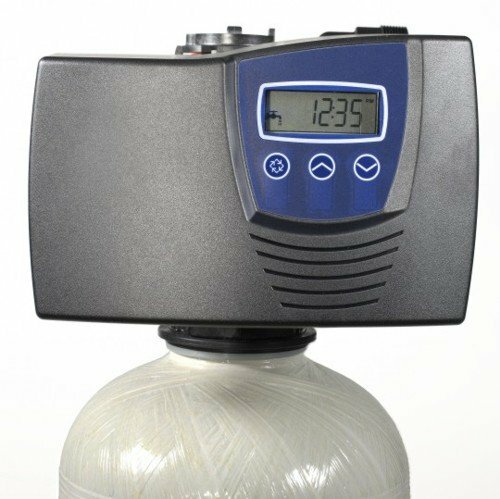 If you have exceptionally hard water and are looking for a viable solution, then you may want to try the 602abcWATER Metered Water Softener. This piece of equipment has a new Fleck 7000 valve and uses an integral microprocessor based control. It has a programmable control and uses high efficiency regeneration in order to minimize its salt consumption and comes in a black or beige resin tank. 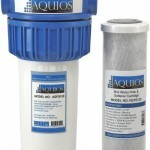 The 602abcWATER Metered Water Softener is made by Structural and is fiberglass reinforced and poly lined. Usually, softeners only have “two tank” configurations with separate poly brine tanks in almond but this is not the case with this product. This system also includes a system bypass valve along with the purchase of any unit. Let’s take a moment to discuss its specifications as well as the pros and cons. One of the most notable things about this product is that is that its Fleck 7000 control valve can handle a service flow rate of around 28 GPM. Manufacturers have made sure that there is a bypass and 1.25″ connection included and that the user is able to choose from either the black or almond color. The 602abcWATER Metered Water Softener is equipped with 64,000 grain capacity which is standard for a large home– meaning five or more people who live in the residence. This product also has a service flow rate of 13 GPM. This softener has several notable qualities which make it ideal for many homeowners. For customers who are interested in preserving your flow rate, you’ll be pleased to learn that the 602abcWATER Metered Water Softener has a Fleck 7000 metered valve. Many users would agree that this is a considerably large internal port for a residential softener mode. Users will also be surprised by how easy the set up is. Assembly is relatively quick. Though you may need to ask someone for a little assistance when you are pouring the media, .i.e the 2 large bags of softener beads that must be poured into the tank, the entire setup shouldn’t take you more than a few hours. Also, for those who have never done a job like this before, you’ll find the kit extremely helpful as it comes with everything you will need with the exception of the drain tubing. Though the additional tools can be found at Home Depot of your local hardware store. These items shouldn’t cost you very much. Not everyone will have an easy time with this project, especially if you are a beginner. There are many individuals who may end up needing to watch tutorials because of the amount of plumbing work that is involved with making sure that this softener is working properly. There are a few plumbing connections which will require certain tools that may be a bit out of your price range depending on what type of piping you have in your home. In the end, many individuals may find themselves having to hire a plumber to ensure that their plumbing is connected in the way it should be. And unfortunately this can be a little bothersome if your goal is to save money by using the 602abcWATER Metered Water Softener as a DIY project. In the end, whether or not you should purchase this product all depends on your specific needs and what you are looking for. 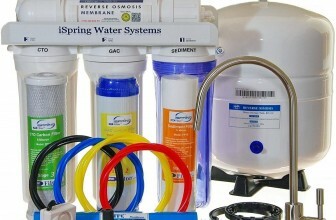 Ultimately, the 602abcWATER Metered Water Softener is for homeowners who would like to minimize salt consumption. 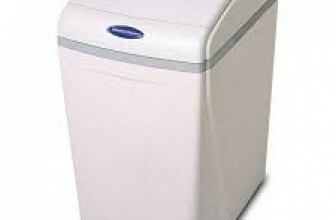 It is best for those who are interested in buying a softener that is well built and sturdy. Users who are interested in a high GPM service flow rate will also find this product helpful. The 602abcWATER Metered Water Softener is perfect for beginners because it does not require a long and complicated setup time. And you only need to buy a few tools in order to make sure that the job gets done properly. Of course this product has a few drawbacks, such as it not being the ideal choice for beginners. However, if you have the time and money to put into this project and are interested in learning how to take care of your hard water problems on your own, then the 602abcWATER Metered Water Softener is the perfect product for you. 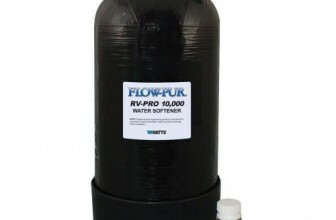 Need a water softener for your RV? Read our review of the Watts RV PRO-1000!